Did you know that conventional, store-bought fingerpaints can contain toxic chemicals like toluene, ethylene glycol, petroleum-based waxes, polymers, and artificial colors that can be easily absorbed through your child’s skin? Even the brands labeled “non-toxic” can contain these dangerous ingredients! (How this is legal is anyone’s guess.) And if that weren’t enough, genetically engineered soy, corn and wheat byproducts are also common ingredients too, which can be an unexpected disaster for the allergic child. Like an increasing number of children, my daughter is allergic and sensitive to these ingredients, so we simply can’t use the off-the-shelf brands of these common craft items. My friend Michelle, whose daughter also has many food sensitivities, came up with the following recipe for non-toxic, non-allergenic fingerpaints, and it is just great for hours of toddler fun! The paint colors are made with India Tree Natural Decorating Colors, which are made from vegetables, though you could easily make your own colors from turmeric, beet juice and more. You do need to use more natural coloring than you would with regular, chemical food dyes, and the colors are not exact when you mix them, but they are completely non-toxic and non-allergenic. I find their earthy pastel shades rustic and charming. India Tree uses such basic ingredients, you could make your own copycat colors with food and spices in your kitchen! 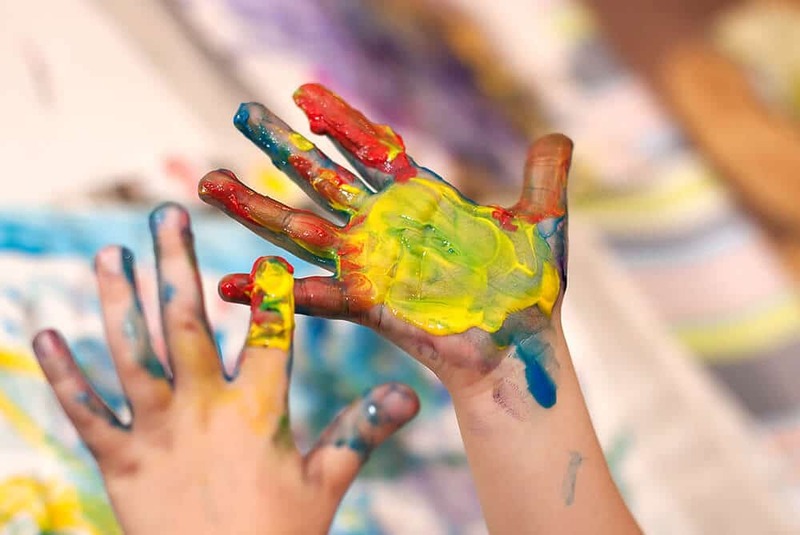 Store-bought finger paints can contain toxic chemicals and allergens that can harm your child. 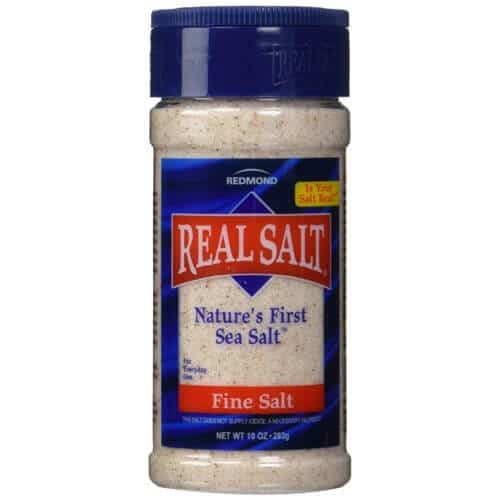 Here's a non-toxic alternative you can whip up in your kitchen. Mix 1/2 cup flour with a bit of water to get out lumps. Cook/stir over medium heat just until thick & shiny. It only takes a few minutes. The mixture should stick to the side of the pan a bit. Stir in additional flour, if needed, until you reach the desired paint consistency. Use a 1/4 cup measuring cup to scoop out the mixture into each paint cup. Put at least 6 drops of color into your paints to make sure they are vibrant and bright. I used about 15-20 drops in my paints. Now stir and see what you get. Hi thanks for the recipe! Quick question, does the color stay on your child’s hands for some time? If so, what do you recommend doing to remove the color? I think it depends on what you are using for color. Food dyes and homemade vegetable colors will behave differently, and some might stain while others don’t—but these colorings are non-toxic on the skin. I’ve never tried it. Let us know how long they last! So excited to try this for my FPIES son! Be careful of citric acid as it can be a corn derivative! Does this formula dry so that you can keep their special paintings? Yes, but the paint is thick so it can peel or chip off, and the colors are natural so they fade pretty quickly. But then fingerpaintings were not meant to be museum archival quality! I spoke to the company on the phone, and India Tree colors do NOT contain propylene glycol or polysorbate. The woman on the phone said that for a very brief time, they had a run of the product that included these chemicals, but they have since switched back to their original formulation that contains no chemical ingredients at all–just vegetable color and water. And given the SelectTea colors are $20 EACH, that’s a good thing! This is fantastic, thank you so much. I actually bought my son a set of finger paints from “Melissa & Doug” and no sooner had he put his hands in them, when he broke out in a red rash that looked horrific. There were red blisters all over his hands, they were itchy and inflamed for DAYS! I could not believe it, and tried to find out what on earth could be in these so-called “non-toxic” paints, but couldn’t find anything out over the internet. Ditto for marker pens, paints and pens. We just can’t use any of them, so I was really pleased to see your post here. Thank you so much. This is really awesome – thanks so much for posting this. I had no idea you could use coconut flour as a substitute so that is great. thanks so much! You will need a bit more than a half cup of coconut flour to get the right consistency. The paint will be a bit grittier and lighter in hue than if you use, say, rice flour, but to a 2 year old, this is totally irrelevant! Thanks for posting these very helpful articles on children’s art materials– as an art therapist, this is very relevant news to those of us who use media with children. My work has been with traumatized children who have special challenges; we need to pay more attention to what you are offering in these postings! Thanks again and looking forward to reading more! Thanks for doing the work that you do! !